“A place for everything, and everything in its place.” Is that phrase one of your philosophies? 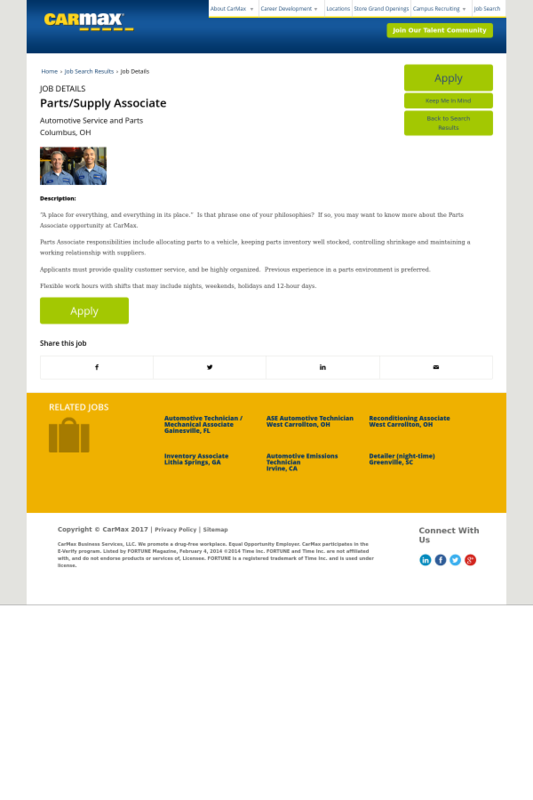 If so, you may want to know more about the Parts Associate opportunity at CarMax. Parts Associate responsibilities include allocating parts to a vehicle, keeping parts inventory well stocked, controlling shrinkage and maintaining a working relationship with suppliers. Applicants must provide quality customer service, and be highly organized. Previous experience in a parts environment is preferred. Flexible work hours with shifts that may include nights, weekends, holidays and 12-hour days.